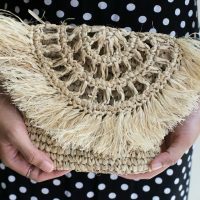 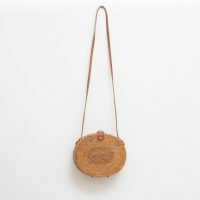 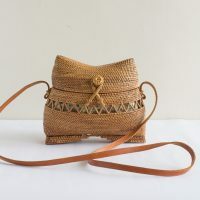 This unique, cute rattan bag is the perfect accessory, great for going to the beach, a quick walk in the park, or just a cozy afternoon in the cafe. 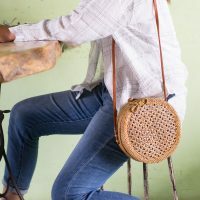 This cute stylish basket bag is large enough to hold your mobile phone, a wallet, sunglasses, makeup kit, and keys; just about all you need for your get-up-and-go lifestyle. 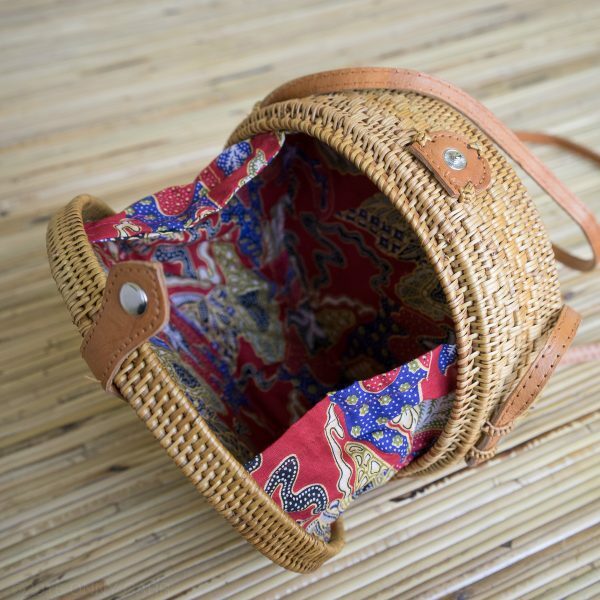 This popular wicker bag features a traditional batik cloth lining. 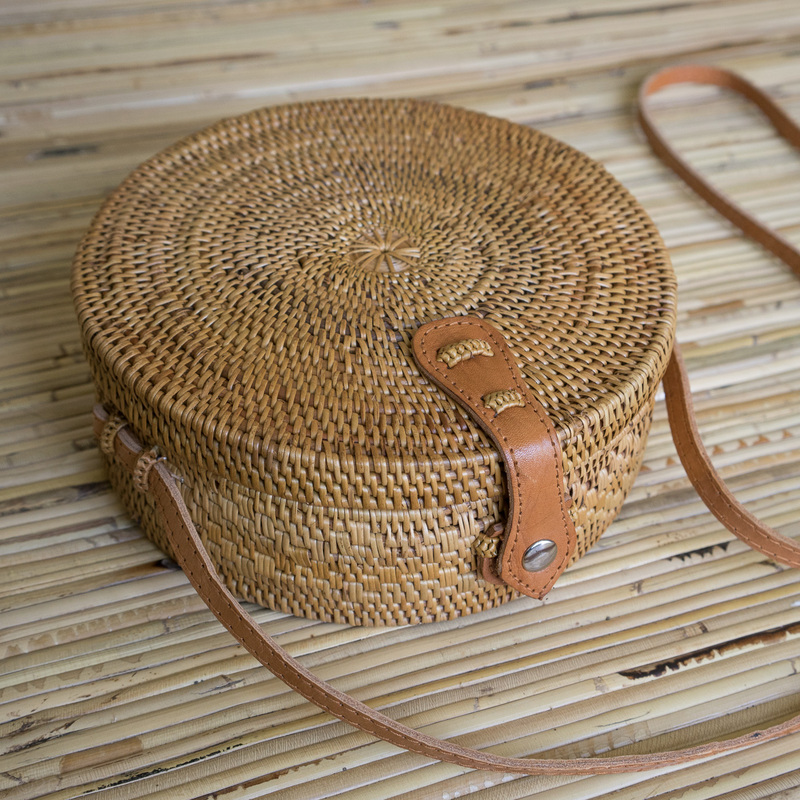 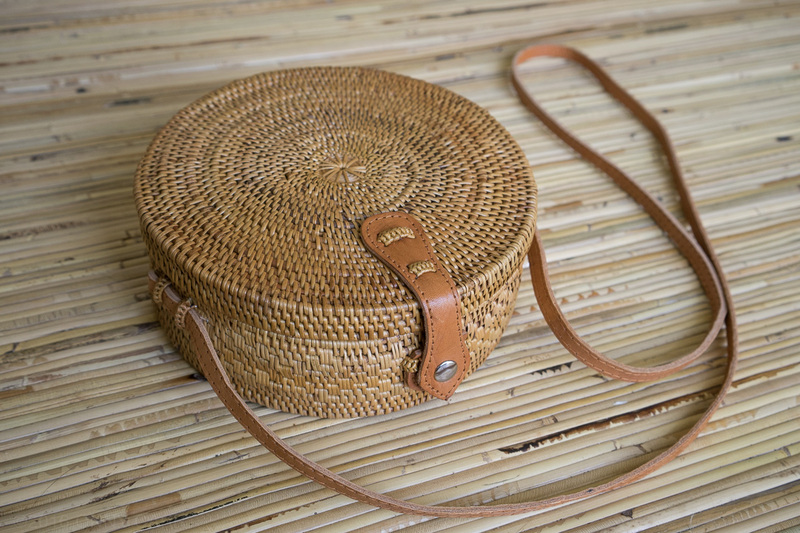 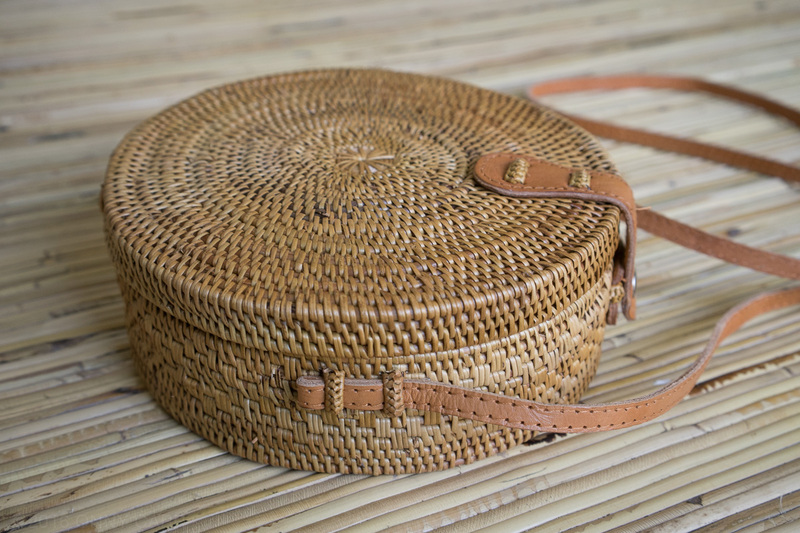 The top of this rattan bag shuts securely with a leather snap closure.